Welcome to the first edition of Watching / Reading the Hugos. Throughout the summer I will be reading and watching (and listening) my way through all of the 2016 Hugo Award Finalists. There will be no set schedule or order for these articles, but we'll take a look at each category as I complete them. Since I had already seen all five of the movies up for Best Dramatic Presentation: Long Form prior to the Hugo announcement, we'll start here. The final ballot for Dramatic Presentation: Long Form is awfully similar to my own nominating ballot. The only difference between the two is that I left Age of Ultron off and included Inside Out instead. I think that would have been a much nicer and stronger ballot. Unfortunately (or, perhaps, fortunately), I only have one voice and the final ballot isn't actually up to me. Avengers: Age of Ultron: So, with that said, Avengers: Age of Ultron is the weakest of the five nominees. It isn't a bad movie, though I could almost make an argument that it is one of the weakest of what we have come to know as the Marvel Cinematic Universe. 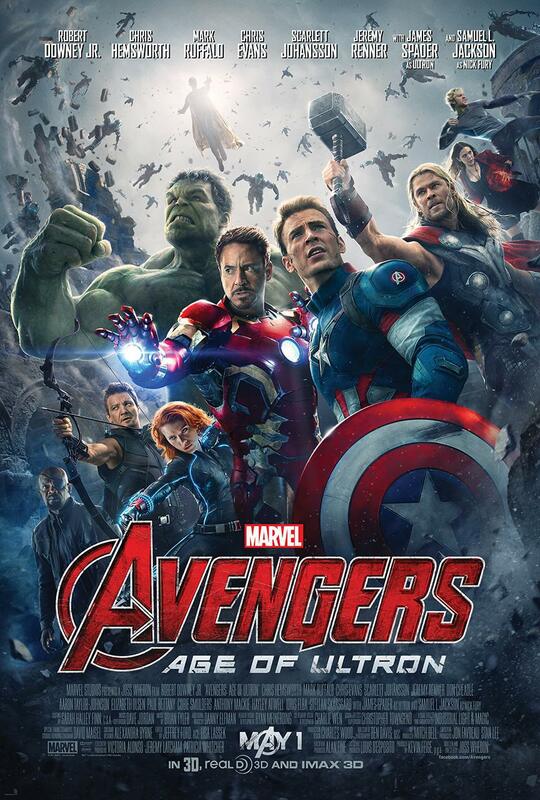 Age of Ultron is a tentpole action movie and it's a solid piece of entertainment. I'm also not sure I need to see the entire movie a second time, and that's not the case with anything that I have ranked higher than this movie. Ex Machina: There comes a point when we have to ask ourselves if "favorite" means "best" and ultimately, it does not. And yet, there is still that niggling bit in the back of your head that says "yes, but this other thing was so awesome and fun and delightful that it doesn't matter what is 'better'". Sometimes you listen to that bit, and that's why even though I think Ex Machina is likely a better movie than the new Star Wars flick, I don't care. Ex Machina is a quieter movie than any on this ballot, it is original and thoughtful and should be considered as one of the year's best movies. And yet. 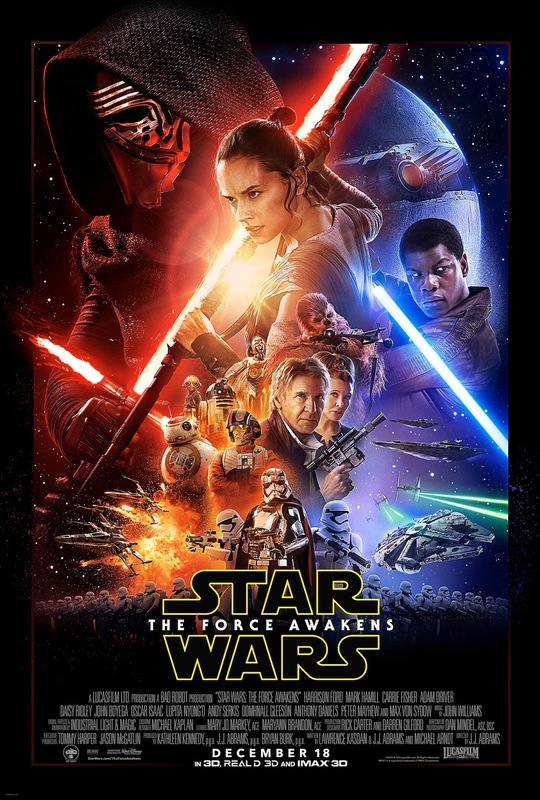 Star Wars: The Force Awakens: And yet, I'm not sure I had a better time at the movies than the pure joy that seeing The Force Awakens gave me. The Force Awakens may have echoed the original Star Wars a few too many times for my comfort, but holy crap did I love this movie! It hit me both with a nostalgia punch (and don't underestimate a good nostalgia punch), but also gave me what I wanted from a new Star Wars movie - which is something familiar, but taken in a new direction. Obviously, we'll see how new of a direction Star Wars goes with episodes VIII and IX, but for now, I am content and I am thrilled. Mad Max: Fury Road: Some days I admire Fury Road more than I love it, and some days I love it more than I admire it. Like all five of the nominees in this category, I have only seem Fury Road once and because of that, it is a difficult film to think about. On the one hand it is a two hour action movie where George Miller puts his foot on the gas near the start and seldom lifts his foot again until the end of the movie. It is an incredible, but exhausting action flick. Fury Road is also deeply subversive, being set in a hypermasculine world and ostensibly featuring a hypermasculine hero - except that's not the movie George Miller made because the real hero here isn't Max. The hero, the protagonist, and the beating heart of the movie is Furiosa. This is truly her journey, not Max's, and if Miller makes a sequel, I want it to continue to follow Furiosa rather than Max. 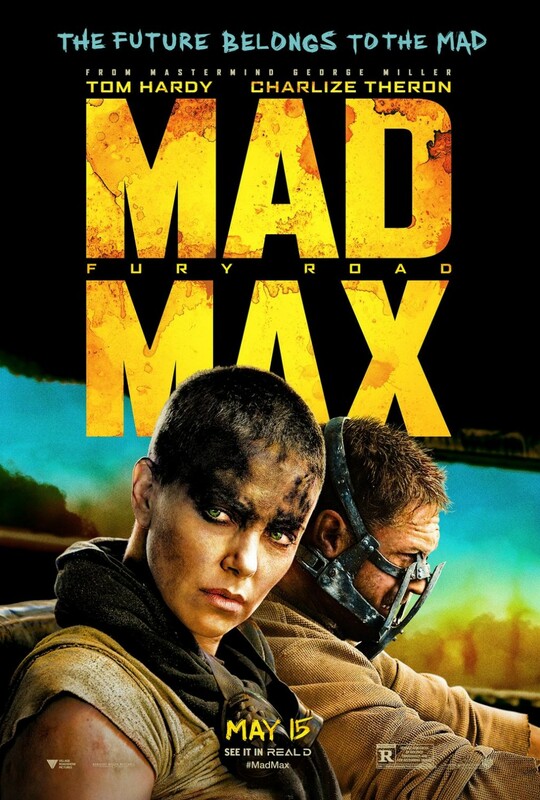 With all of that said, Fury Road is a movie that demands a second viewing to help coalesce my thoughts - but until that second viewing, it remains one of the strongest movies of 2015 and highly deserving of a Hugo Award. The Martian: There is also a point where "favorite" begins to meet "best" and even though it is ultimately a subjective game to determine what is the best film in a given year, when the intersection of both favorite and best are near the top of the graph, that's what you go with. We will not pay much mind to the fact that The Martian was the first and only movie my wife and I saw in the theater together since this birth of our son and that because of the cost of babysitting, this was a $60 movie for just the two of us. I will note it, however, just in case there is any bias creeping up. The thing is, I'm a sucker for a "space" movie. The last three years have been good to me with Gravity and Interstellar. Feel free to argue among yourselves as to how good those movies are, but I loved them both. The Martian might be the best of those three, and for me, it is the best of the nominated movies this year. 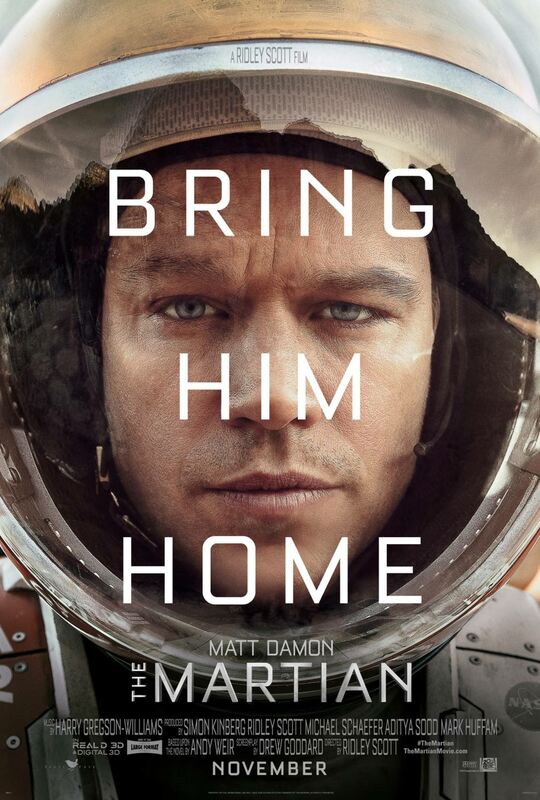 How Mark Watney (played by Matt Damon) adapted to survive on Mars for so long, the work that went into setting up both a resupply and then a rescue mission, the dedication of the crew to sacrifice so much more of their lives back home to take the remote chance they could rescue him...all put together, I love this movie. Since Best Dramatic Presentation: Long Form was first instituted as a category in 2003, 70 works have made the final ballot. Of those 70 works, only three finalists have not been theatrical movies, so it is not a surprise that this year, or any other year, is a recognition of the highest profile science fiction and fantasy films which have been released as major Hollywood productions. There are some exceptions, like when Moon won a Hugo in 2010, but Long Form is frequently about big Hollywood. Given the history of the award, it is fairly clear that the members of a given Worldcon who take the time to nominate for the Hugo Award are much more familiar with major theatrical releases and less so of the smaller budget films or of what might be happening on the stage or audio only releases or video games. From the list of 2015 SFF-themed media I consumed over the last year, this is a solid list of nominees, but like everyone else, I'm only familiar with the stuff I'm familiar with.